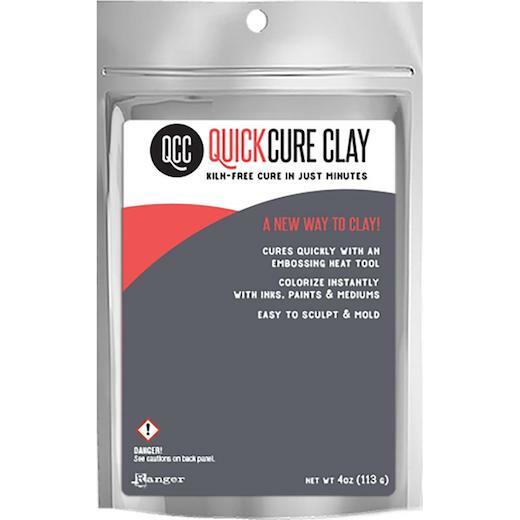 Ranger QuickCure Clay, is a pliable clay formula that cures in minutes with just the use of a heat tool, there’s no need for a kiln or oven. Colourise clay with paints and mediums such as Ranger Embossing Powders, Archival Inks, Vintaj Patinas, Perfect Pearls, and more. The finished product is very strong and durable, great for making sculptures, jewellery and other mixed media projects. Available in 4 oz, 8 oz, and 16 oz bags.